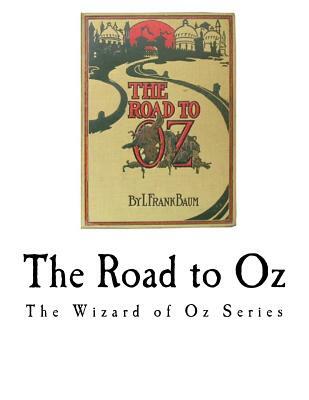 The Road to Oz by L. Frank Baum. "Royal Historian of Oz." The Wizard of Oz Series. The Road to Oz: In Which Is Related How Dorothy Gale of Kansas, The Shaggy Man, Button Bright, and Polychrome the Rainbow's Daughter Met on an Enchanted Road and Followed it All the Way to the Marvelous Land of Oz. is the fifth of L. Frank Baum's Land of Oz books. It was originally published on July 10, 1909 and documents the adventures of Dorothy Gale's fourth visit to the Land of Oz. Well, my dears, here is what you have asked for: another "Oz Book" about Dorothy's strange adventures. Toto is in this story, because you wanted him to be there, and many other characters which you will recognize are in the story, too. Indeed, the wishes of my little correspondents have been considered as carefully as possible, and if the story is not exactly as you would have written it yourselves, you must remember that a story has to be a story before it can be written down, and the writer cannot change it much without spoiling it.